Born in Greece in a Czech family. She holds a BA in International Relations and Organisations and an MA in Translation (EN/FR>EL). Her master’s thesis was a terminology project on Industrial Robotics in collaboration with the WIPO terminology unit. Her working experience includes language teaching, voluntary translation for the national theatre of North Greece, and traineeships in translation companies and the ministry of Foreign Affairs. She has represented the AUTH in the TEF2017 presenting a poster on terminology. She likes hiking and literature. Born in England, Mairead first studied Fine Art at Central Saint Martins, London, before studying Politics and French at the University of Bristol, spending her Erasmus year doing Translation (FR-EN) at the University of Geneva. Coming from a journalistic, communications-based background, she has previously worked as the editor for a technology magazine in Lisbon, freelance for newspapers in her home country as well as a content writer and SEO consultant. Marta was born in 1994 in Alicante, Spain. She studied Advertising and Public Relations in the University of Alicante. During her university period, she wrote for and coordinated some sections in the student’s online newspaper and organised events/seminars. She’s interested in copywriting, journalism and creativity in general. She did a European Voluntary Service of 12 months in Milan (Italy) about communication and European youth mobility, working as a facilitator in Erasmus+ Youth Exchanges. She has three passions: travelling, writing (she has her own personal blog, “Experta en no serlo”) and petting her dogs. Marta speaks Spanish, English, Italian and Catalan and she’s really looking forward to add more languages to the list! Djamila was born in 1995 in Saarlouis, Germany and grew up with German-speaking parents in France. Little by little she became her parents’ “interpreter”, helping them to communicate with French speakers in all kinds of everyday situations. Alternating between two languages and cultures through her life has trained her to constantly switch her thinking from one language to another, resulting in her not having one mother tongue but two. Since then, she has strengthened her linguistic and cultural knowledge by attending a French and German high school, obtaining a Bachelor’s degree in Franco-German intercultural studies from the Université Clermont-Auvergne/Universität Regensburg. 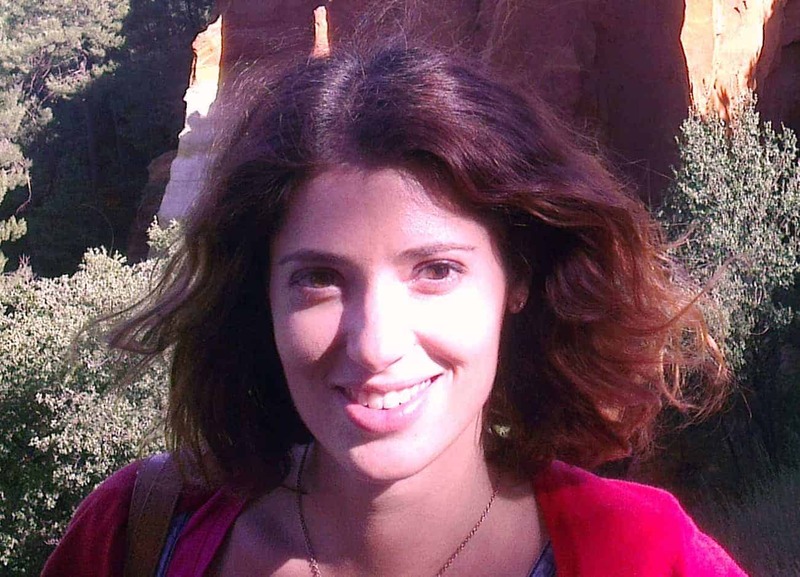 She also holds a Master’s degree in Translation (DE/EN>FR) from the ITIRI in Strasbourg. Her Bachelor thesis was dedicated to bilingual people’s aptitude for becoming translators and interpreters and her Master thesis was a medical translation from German into French about how to diagnose child abuse. In her free time she likes to learn and teach languages and to do tourism. Ioannis was born in 1992 in Thessaloniki, Greece. He studied German Language and Literature at the Aristotle University of Thessaloniki and Translation at the Johannes Gutenberg University of Mainz. He has worked as an academic assistant at the Johannes Gutenberg University of Mainz. He participated in various academic projects within the university. He speaks Greek, German and English and he is passionate about photography. His master’s thesis was on the languages that refugees who came to Germany in 2016 and 2017 speak. Massimo was born in Genoa (Italy) in 1990. He graduated in Translation and Interpretation in his hometown, with a master’s degree thesis on logistic terminology in collaboration with the University of Nantes. After teaching Italian as an assistant for the French public education, he came back to the other side of the desk for a master’s degree in Linguistics at the University of Paris 13, with a thesis on financial terminology. Before landing in Luxembourg, he was working at the same university as a contract researcher in natural-language processing. Olga was born in 1974 in Moscow. She was educated bilingually (German-Russian) and studied economics in Germany (FH Giessen-Friedberg) and Spain (Universidad de Extremadura/Badajoz). She lives in Spain and works as economist and translator since 2000. During the Bachelor´s and Master´s Translations studies from the University of Granada, she became a member of the University of Granada’s Terminology research group, Lexicon. 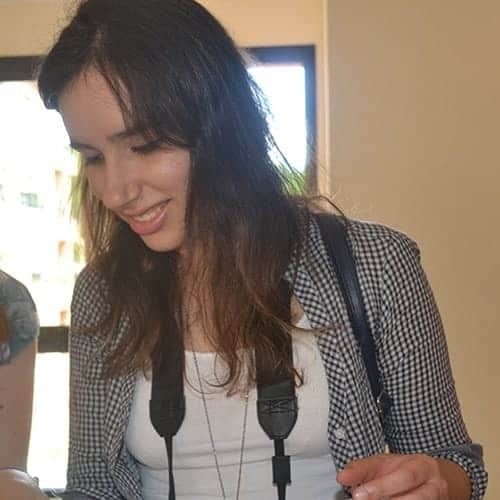 She works as legal translator (certified translator) for German-Spanish and also as technical and specialised translator, interpreter, and terminologist for Russian, English, Italian and Portuguese for the humanitarian organisations and in the private sector. She also works as a language teacher. She possesses a PhD in Translation/Terminology (Subject: Psycholinguistic experimental study of Russian-Spanish terms) and has published articles about terminology and linguistics studies. Víctor, who hails from Spain, studied in a German School and holds a Bachelor’s degree in Translation and Interpreting, a University-specific degree in Linguistic Mediation and a Master’s degree in Edition, Production and New Journalistic Technologies. He did an internship as a terminological researcher for the Quebec Board of the French Language. Víctor demonstrated his communication skills when writing, translating and presenting a wide range of topics, from finance and culture to health, events and sport for print and online media, including Swiss TV and Spanish and International newspapers, magazines, newsletters and blogs. Víctor, who speaks Spanish, German, English, Catalan, Italian and French (in that order), has taught languages at schools in Austria and multinationals and the Ministry of Foreign Affairs and Cooperation, Defence and Energy, Tourism and Digital Agenda in Spain. Emma was born in 1992 in the United Kingdom. She holds a Bachelor’s degree in Journalism from London Metropolitan University and has experience of working in PR for the higher education sector. Emma has written for print and online media, in both local and national media outlets. She has a keen interest in international politics, which is why her thesis focused on the controversial relationship between the West and Saudi Arabia. Tipperary (Ireland). Born in 1995, Liam has a BA in Journalism with French from Dublin Institute of Technology. As part of this course, he worked across many different medium platforms and produced newspapers, magazines, newsletters and radio programmes. During his time at college, he spent a semester living in Metz in the north-east of France where he studied at the Université de Lorraine, Metz. He also has an MA in Translation Studies from University College Cork. Liam has also had experience of working in both customer service and radio. Veronica is from Siggiewi in Malta and was born in 1992. She has a Bachelor’s Degree in Maltese and an MA in Translation and Terminology Studies from the University of Malta. She focused her MA dissertation on translating children’s literature. Worked as a journalist and sub-editor with a Maltese newspaper and online portal for 3 years before commencing her EU experience. She knows Maltese, English, Italian and a bit of French and Spanish. Born in Torino, Italy, in 1992, she is a Linguistic Mediation Bachelor graduate who than completed an MA in Public and Political Communication at the University of Torino. During her studies, she spent a semester in Germany thanks to LLP Erasmus, attending the Freie Universität of Berlin; interested in foreign languages, international politics, communication and new technologies, she wrote her Master thesis about the communication of European energy policies across the newspapers of the European Union. She knows Italian, English, French, German, and a bit of Spanish. Anaïs is from Liège and was born in 1992. She has a Bachelor’s degree in Translation and Interpreting, an MA in Translation and Terminology Studies and a Master of Science in Education from the Université catholique de Louvain, Belgium. She studied translation at the University of Salamanca in Spain during her Erasmus and developed her terminology skills during her internship at Termcat, the centre for terminology in the Catalan language established by the Government of Catalonia. Very interested in international politics, she focused her MA dissertation on Sharia and its impact on Muslim women. She knows French, English, Spanish and a bit of German and Dutch. Faenza (Italy). Born in 1990 in Faenza (RA), Italy. She completed her BA in Intercultural Linguistic Mediation and MA in Specialized Translation at the School of Languages, Literature, Interpreting and Translation (former SSLMIT) in Forlì, University of Bologna. During her degrees, she had the opportunity to study under the Erasmus Programme at the Exeter University (UK) and at the Moscow State University (Russia) thanks to a university exchange. Interested in terminology and translation in international organizations, she wrote her MA’s thesis on terminology in collaboration with FAO organization. She knows Italian, English, French, German, Russian and a bit of Chinese. Parcines (Italy). Born and raised in the multilingual region of South Tirol, Italy. She graduated with Bachelor of Arts in Modern Foreign Languages and Cultures from the University of Sassari. The next step in Iris ‘academic pursuits was Vienna, where she was awarded Master of Arts in Specialized Translation from the University of Vienna. Iris did her Erasmus Exchange Semester at the University of KU Leuven in Antwerp, where she followed the program of the Postgraduate European Master in Specialized Translations. Subsequently, Iris got an Erasmus Internship at the same university, which she completed successfully. Zaragoza (Spain). Clara completed a BA in English Philology and an MA in Teacher Training for Foreign Languages at the University of Zaragoza. Subsequently, she completed with distinction an MA in Translation and Interpreting Studies at the University of Manchester (UK). Her dissertation used a corpus-based approach to compare the expression of deontic modality in Spanish national legislation and in Spanish versions of EU legislation. After graduating, she started a career in terminology through a fellowship at the World Intellectual Property Organization in Geneva (Switzerland). She is an ECQA certified terminology manager. Thessaloniki (Greece). Georgia is a graduate of the Department of Foreign Languages, Translation and Interpreting of the Ionian University (specialization: Translation) and the Joint Postgraduate Translation Studies Programme of the Aristotle University of Thessaloniki, in the framework of which she prepared her diploma thesis titled “IATE Terminology Project on Packaging Materials” in cooperation with Termcoord. During her undergraduate studies she spent one semester abroad, at the Johannes Gutenberg University of Mainz in Germany. Her working languages ​​are English and German. She has attended a number of seminars on translation and subtitling, and participated in the Team for the Voluntary Support of the National Theatre of Northern Greece, aimed at the translation of its website (press releases, summaries of plays, etc.). She is a member of the Panhellenic Association of Professional Translators Graduates of the Ionian University (PEEMPIP) and she has been working as a translator since 2014. Figueira da Foz (Portugal). Pedro has a BA in Modern Languages: English (University of Coimbra, Portugal) and a BA in Modern Languages in Foreign Languages: English and Spanish (B) (University of Coimbra). He wrote a dissertation about the Woodstock Festival of 1969, Woodstock: Community and Legacy, for his MA in English and American Studies: American Studies (University of Coimbra). He also developed the website for the Dundee Botanic Garden Endowment Trust for his MSc in Information Technology and International Business (University of Dundee, Scotland). He was a translator and a member of the University of Coimbra team in the ELVIN Project of the EU Lifelong Learning Programme. He was also a social media manager and member of the Organising Committee of the 2nd International Graduate Conference in English and American Studies, which was held at Faculty of Arts and Humanities of the University of Coimbra. Recently, from 1st April 2017 to 30 June 2017, he was a trainee in the Portuguese Translation Unit, Directorate-General for Translation of the European Parliament (Luxembourg). Paris (France). Laura completed her BA in Management, Communication and Translation and MA in Intercultural Communication and Translation at ISIT, a leading French school of translation and interpreting. Interested in politics and digital communication, she wrote her thesis on the different communication strategies of the American and the French representatives during the elections. In 2016, she had the opportunity to work for the French public broadcaster France Televisions, in the International Relations department. She then decided to complete her final year internship in the European Parliament, in both translation and communication units. Galicia (Spain). BA in Journalism, BA in Translation and Interpreting and MA in Communication and Creative Industries. She has worked as conference and liaison interpreter and as a translator specialised in EU texts in Spain. She was the research assistant of the Speak Out for Support (SOS-VICS) project on interpreting with victims/survivors of gender-based violence. She is pursuing a PhD on the topic of media coverage of women trafficking cases at the University of Santiago de Compostela and has published research in the fields of interpreting and mass media, with a special focus on gender issues and public subsidies to the press. Greece. Born in 1989 in Lamia, Greece. BA in Translation from DFLTI Ionian University, Corfu, (Greece) with a semester on Translation and International Relations at ITI-RI University of Strasbourg, Strasbourg (France). MSc in European Economic Policy from Athens University of Economics and Business, with master’s thesis on eGovernment and Bureaucracy, and MA in Learning and Communication in Multilingual and Multicultural Contexts from University of Luxembourg, with master’s thesis on The role of IT and Social Media in the New Profile of the Terminologist. She speaks EN and FR and wants to complete her knowledge to ES and RU. During her interneships in different organizations and companies she acquired knowledge of specialised translation, proofreading, social media & content management, article writing and editing, blogging. She is a passionate foodie and loves to link language with food culture. Moscow (Russia). Yelena has a lifelong interest in languages and linguistics. She has worked as a language teacher and translator in Russia, UK and Luxembourg. Having recently completed a Master’s in Learning and Communication in Multilingual and Multicultural Contexts at the University of Luxembourg, Yelena is currently starting her PhD in sociolinguistics and language sciences, with a focus on language use in international workplaces.  Translator, Interpreter, Social Media Specialist, Communication and Marketing Manager. BA in Translation, Interpreting and Communication at Universitat Pompeu Fabra in Barcelona, MA in Cultural-Linguistic Mediation at Universita La Sapienza in Rome and MRes in Translation and Intercultural Studies at Universitat Autònoma de Barcelona. PhD candidate at Universitat Autònoma de Barcelona with a thesis based in Cognitive Translation Strategies analysing the strategies used by students and professional translators in several translations assignments from French, English and German into Spanish and Catalan. She worked as a simultaneous interpreter at the FAO in Rome. She is a violinist and she played in several European countries such as Spain, Poland, France, Luxembourg and Germany. She has a famous blog that you should know and follow: www.20000lenguas.com She is fluent in Polish, Catalan, Spanish, Italian, French and English and after her PhD she will start learning Luxembourgish, for sure! She is a passionate traveler and blogger. Italian. She holds a BA in Modern and Contemporary Literature from University of Macerata and a MSc. in Translation Technology from Dublin City University. Italian. She completed her BA at the Advanced School of Modern Languages for Interpreters and Translators of the University of Bologna and holds an MA degree in Professional Translation from Swansea University (UK). Carmela was born in Madrid. She gained experience as a translator at the Spanish Ministry of Foreign Affairs. Prior to coming to Luxembourg, she worked as a conference interpreter at the UN in Geneva and in a range of conferences. Born in Alicante, Spain, Ana holds a BA degree in Translation and Interpreting and a MA degree in Business Communications. She has previously worked in content management, marketing and translation. Spanish. Journalist and Community Manager. Ana has worked previously as a reporter, editor, radio presenter, sound technician, web manager and social media administrator. Born in 1994 in Poland, she moved to London at the age of 9. Currently a third-year student of English and French at Balliol College, University of Oxford, she is partaking in her compulsory year abroad to gain work and language experience which is invaluable to her studies. 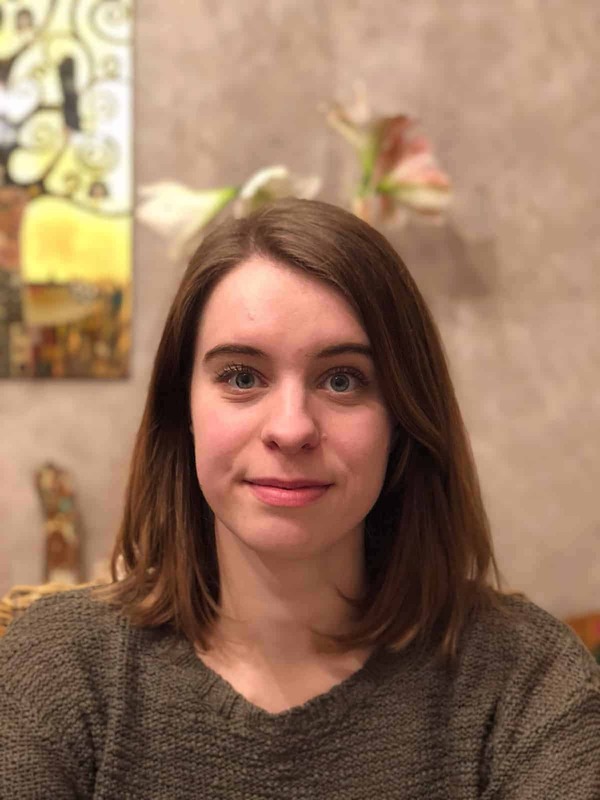 Previous to coming to Luxembourg, she has spent 7 months working as a British Council English language assistant at two sixth forms in France, as well as having experience as an English tutor and news reporter for a student newspaper in Oxford. She joins the TermCoord trainee team in May 2016. 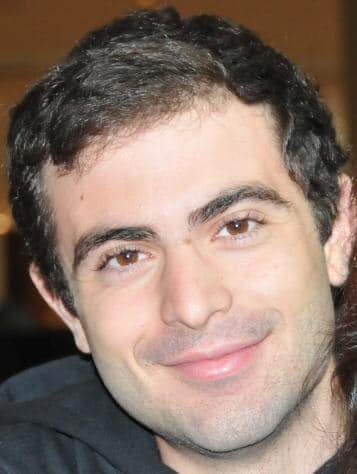 Born in 1986 in Trieste (Italy). Studied in the School for translators and interpreters in the University of Trieste. Post-graduate studies in legal translation in Paris-3 Sorbonne Nouvelle. Teaching fellow in Paris in literary translation in Paris-4 Sorbonne, legal Spanish terminology in the Institut Catholique de Lille and gastronomy and Italian civilization in the Italian Cultural Center of Paris. She taught in SciencesPO and worked in the Italian Cultural Center as a translator, editor and seconding the Director in cultural activities. Internship in the UNESCO in the Creative Cities Network. She speaks Italian, English, French, Spanish and learning Greek. Born in 1990 in Italy. Design studies at Academy of Fine Arts of Foggia. Worked several years as freelance graphic and web designer. Winner in the category “electronic art, interactive works, video installations, audiovisual productions of storytelling and creation” and Winner of the “Special Mention for Social Medias” in the National Arts award “Premio Nazionale delle Arti 2013”, organized by italian Ministry of Education, University and Research. Former associate professor teaching Web Design at Academy of Fine Arts of Foggia. Published books (novels, poems and a web design manual). Raluca graduated in journalism from the University of Sibiu, Romania. She worked as a journalist for various different media for almost 12 years, during which she gained experience as a reporter, editor, radio and TV presenter, blogger, website editor and social media administrator. She is currently doing a master’s degree at the University of Luxembourg, specialising in intercultural communication, and has experience in fields such as culture, politics, social journalism, communication and linguistics. She loves radio, travelling and playing with her dog. 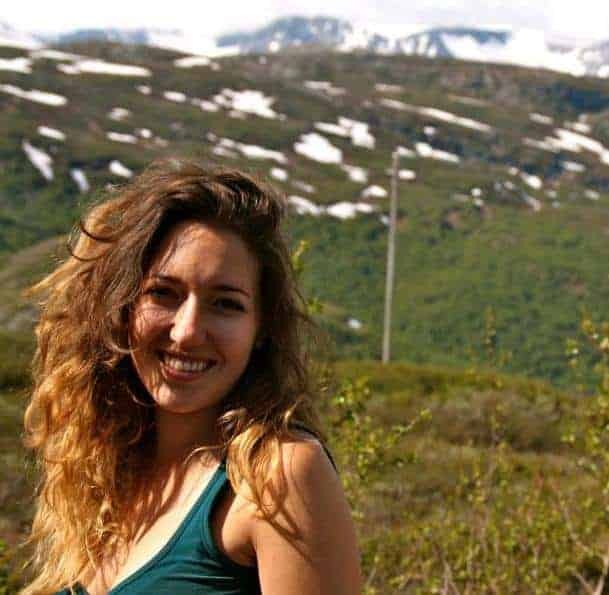 Born in 1990 in Rome, she studied literature and linguistics in Italy and Spain, where she also spent a few months to write her research thesis. After graduation, she studied a Masters degree in International Multimedia Journalism at Newcastle University, in England. During her university years she also worked as an online reporter for an Italian online newspaper and as an editor for an e-book publisher. Passionate about languages, (socio)linguistics, and communication. Born in 1991 in Turin (Italy). Student of Computer Science at the University of Turin. After having lived some time in Los Angeles acquiring skills in technical film production, he chose specialization in Graphic 3D at the School of Profession. Then made exerience in IT Support and Promotion on social media. He volunteered with underprivileged people in South Africa and in Turkey. He joins TermCoord in March 2016. Born in Mérida (Spain) and graduated in Journalism from Madrid San Pablo CEU University. After living some time in Ireland and California, she coursed a Master of Arts degree in Journalism and Media within Globalization through the European Union’s Erasmus Mundus scheme. Specialized in Financial and Business Journalism at City University of London with a foundation year spent in Denmark. She has worked as an intern for several broadcasting and news outlets, also as an editor and translator for a pan-European student news website and a London based Spanish newspaper. In October 2015 she joints the TermCoord’s team. Born in 1989 in Rome (Italy). Wrote 300+ film reviews, covered the Rome’s and the Venice’s film festivals, and still managed to obtain a master’s degree in Clinical Psychology. She attended a post-graduate course at the London School of Journalism, had a Web Editor assistant work experience at Good Things magazine, and enjoyed the British lifestyle for a while. Member of the Italian Journalists’ Association as well, she later contributed to the Huffington Post USA and HelloGiggles. Currently passionate about human rights and international politics – though in her spare time she always complains that too many books, songs and movies break her heart and ruin her life. Born in 1989 in Padua (Italy), she earned a Master’s Degree in Translation and Conference Interpreting at the Advanced School of Modern Languages for Interpreters and Translators (SSLMIT) of Trieste, with a thesis on terminology. During University she had the opportunity to travel and spent a semester at the Filozofski Fakultet in Zagreb, where she returned to complete her thesis, and a month in Valjevo (SRB) to perfect her knowledge of Croatian and Serbian. Moreover, she spent two months in Johannesburg (RSA) for her curricular internship. While still at University, she translated several documents for the Department of Physics of the University of Trieste, as well as for an engineering company based in Rijeka (HR). Since graduation, she has worked as a freelance translator for different clients, and attended seminars both in Italy and abroad. Born in 1983 in Spain (Sevilla). Graduated in Journalism at the University of Seville. Has training in social media and TV communication skills. Worked as journalist for different medias for six years: experience as editor; website editor; press officer, reporter and community manager. Experience developed in different sectors such as Culture; Economy; Innovation and Technology; Energy; Politics; Sport; and Social Journalism.Studied English and French at specialized private schools. Skills for teaching too. Has a Teaching and Pedagogical Proficiency Certificate. She is a dance teacher (Zumba; Traditional Spanish Dance; Flamenco). Has a Professional Certificate in Spanish Dance.She loves sport and travelling. Two passion: Communication and Dance. Born in Brzeg, Poland, in 1988. Studied Journalism and Social Communication at the University of Adam Mickiewicz in Poznan. I also studied Applied Linguistics – English Philology with elementary German, specialising in translation, at the Poznan College of Modern Language. Thanks to my Erasmus study period in Croatia, I learnt more about Mass Media and Public Communication at University of Dubrovnik and I had the time of my life with other European students. Born in Toledo in 1990 and raised in Madrid (Spain). She graduated in Journalism at the Complutense University of Madrid and spent her last year studying Cultural Studies at the University of Sussex, Brighton (England). She worked as journalist for different cultural magazines, also as community manager and doing professional proof-readings for books and other publications. Co-founded and edited the Spanish webzine Todo Lo Contrario. Born in 1990 in Lisbon, Portugal. Studied Modern Languages, Literature and Cultures variety of English and Portuguese studies specialized in Linguistics at the New University in Lisbon. Moved to Luxembourg three years ago and is now finishing her Master at the University of Luxembourg. One of her passions is cinema which motivated her to enrol at the University of Cinema in Luxembourg. Likes sushi, football and to read until early in the morning. “When I grow up I want to be a journalist, I want to be a war correspondent”. This is what I said when I held for the first time one of Oriana Fallaci’s books. Reading and writing are the very two great passions that have been accompanying me since first grade. I am afraid they always will. As I’ve grown up, then, thanks to a long and interesting professional experience in such a great company as Red Bull, I learned about this whole world called “marketing”; and I must confess it really fascinated me. I come from Sardinia, which is an Italian island. Its history is very particular and heterogeneous, and that is why I like to say that I very much reflect the temperament, the pride and the stubbornness of my land. I love watching movies and going to theatre. Born in 1989 in Hasselt, Belgium. Studied Modern History at the Catholic University of Leuven and Global History at the London School of Economics. Co-founded and edited Distilled Magazine (in English) and wrote as a London Correspondent for TPO Magazine (in Dutch). Worked as a web developer and IT consultant for a while after that. Likes writing essays (though not finishing them), editing literature, and playing music. Born in 1978 in Treviso, Italy, he studied Communication and Media Studies. He worked as a journalist for an Italian television based in Treviso for four years, with stages in the United States and in England. Then made some experiences in web designing and graphics. Interested in music, web, new technologies, writing and languages. Currently involved in some projects in well-known italian sites of political satire. Applied for the Traineeship in the European Union for it was an incredible opportunity of a personal and professional growth. Lithuanian. In 2009 Julija enrolled in Vilnius University to pursue the bachelor of English Philology where she also joined a students` newspaper and a council of students. From 2011 to 2012 she studied in France with the ERASMUS exchange programme. Even though she didn’t taste any frogs there, she learnt French and became fascinated with multiculturalism. Having graduated in 2013, she volunteered during the conferences held in Lithuania due to the Lithuanian Presidency, worked as a freelance translator/interpreter and later on as an IT support analyst in Barclays Technology Centre Lithuania, French subdivision. Although born and raised in the southern part of Sweden, Oscar has always found living abroad to be one of his most enriching life experiences. After graduating high school in Sweden, he moved to Málaga in Spain for about six months to study Spanish language. Not only did this make him appreciative of different cultures, but it also became a path choosing event in his life. Shortly thereafter he decided to take the next big step toward living abroad: applying to university in the United Kingdom. Oscar is a very social person, always motivated to get involved in different activities. In particular, he is a board member of both the Glasgow European Society and the student journalist magazine Affairs Today. Apart from this, he has practiced the Korean martial art Taekwondo for over eight years. Born in Italy in 1985. She graduated with a BA in Linguistic Mediation from the University of Cagliari, Italy in 2008. She worked for almost one year in a private school as translator and secretary and for one year at the Linguistic Centre of the University of Cagliari as tutor of the Tandem Project. In 2010 she joined the School for Translators and Interpreters of Trieste and in 2013 she graduated with a MA in Specialised Translation and Liaison Interpreting. Sarah was born in Ireland in 1988. She studied French and Japanese at Dublin City University, spending a year at Kyoto University of Foreign Studies in Japan and graduating with a BA in Applied Languages and Translation Studies. After gaining experience in the localisation industry in Dublin she returned to study and completed an MA in conference interpreting at NUI Galway, with French, Irish and English as her working languages. She started a traineeship at the Terminology Coordination Unit in October 2013 and sees it as an excellent opportunity to develop her terminology research and project management skills, and gain experience working in an international organisation. Claire was born in Belgium in 1989. After school, she devoted a year to languages: she studied Dutch in Antwerp and English in Dublin. She completed her studies at Marie Haps in Brussels in Translation with English, Russian and French as working languages and graduated with a MA in terminology. She went to university in Volgograd, Russia, during her BA. As a part of her master, she did a first traineeship at the Translation Centre, in the terminology team. She was a translation trainee in the French unit from October 2013 and joined TermCoord from 2014. Francesco comes from Pompei, Italy. He has a BA degree in Sciences of Communication and a MA in Public and Business Communication. He is doing his Ph.D. at University of Salerno for projects regarding the mash-up of terminology, ontologies via a linked open data approach. He is a journalist enrolled in the National Publicist Board since 2010 and occasionally works with a tour operator agency. He discovered his passion for English in his early life and and never stopped studying and practicing on it. In his free time he likes playing tennis, running, cycling and playing musical instruments. Diana is Portuguese, but was born in Venezuela in 1989, where she lived until the age of 13. She studied Economics for two years in Las Palmas de Gran Canaria and then moved to Lisbon where she graduated in Translation at the Universidade Nova de Lisboa. She speaks Portuguese, Spanish and English, and in order to be able to teach some of these languages Diana obtained the proficiency certificate as trainer. In April 2013 she started a traineeship at the Terminology Coordination Unit, where she expects to develop her skills on terminology research and translation tools. Born in 1987 in Ploiesti, Romania, Matilda discovered a passion for the German language during high school. She graduated in Translation and Terminology from the University of Bucharest and got a MA in Terminology and Language Technology from the Cologne University of Applied Sciences with a thesis on “Terminology of Terminology Science”. During her MA studies Matilda worked as a research assistant at the Cologne University of Applied Sciences in projects dealing with student oriented and project based studies in the university. Matilda is passionate about terminology and project management and sees the traineeship at TermCoord as the best opportunity to expand her skills. She joined the Terminology Coordination Unit at the beginning of April 2013. Nigel was born in 1991 in Amsterdam, Netherlands. He’s currently completing an international communication course in Amsterdam, in the Inholland University of Applied Sciences, after having studied IT for three years. Nigel has started his traineeship in TermCoord in April 2013, excited by the opportunity to be a trainee of the European Parliament for five months. He’s hoping to learn new things, while contributing to the team. In his off-time, Nigel likes to play tennis, basketball and occasionally cooks. Júlia was born in 1986, in Portugal. She graduated in Journalism, at the University of Coimbra. For the past three years she was working in institutional communications, where she developed some experience on social media and internal and external communications, as well as web content management. She speaks English and a bit of French (something that she’s expecting to improve during her time in Luxembourg). She loves photography, cinema and walks (especially when it’s sunny). She also loves to read. Among her favourite authors are Mario Puzo, Florbela Espanca, J. K. Rowling, José Rodrigues dos Santos, Dan Brown and Rodrigo Guedes de Carvalho. Joining the TermCoord Unit was a pleasant surprise for her and she expects to have some added-value to give to the unit and its communication area. Floriane was born in France in 1989. After doing the first two years of her BA in English Literature in the Université Paris XII Créteil, she moved to Ireland to complete her degree as an Erasmus student in the National University of Ireland Maynooth. She then graduated from a Masters in International Journalism from the Dublin Institute of Technology. She speaks French, English and Spanish. In her free time, Floriane enjoys watching and playing rugby, going to the cinema and gigs as well as cooking for her friends. She is delighted to join the TermCoord team and hopes to deliver interesting and useful information on the unit’s websites. Born and raised in the windy north of Denmark, he flew from the nest at the age of 19 and spent a year in London working as a receptionist in two major hotels. Over the following years, he then completed an MA in English, Spanish and Physical Education from Aalborg and Copenhagen University, including a Tourism & Communication semester in Melbourne and a Journalism semester in Washington, D.C.
Having lived his past 15 years in Copenhagen, he worked as a high school teacher and educational advisor for many years. In between he also found time to work freelance as a certified tourist guide of the Danish capital and in Spain, England, Malta, Canada, Australia, and USA as well as a ski guide in Austria. Not surprisingly, his great passions are traveling, photography – and dogs (perhaps even DOC Hound!). Moreover, he loves psychology, foreign cultures and languages, besides Danish mastering Swedish, Norwegian, English, German and Spanish as well as a bit of Italian and French.